Interview with Oliver Tooley: Devon writer at work! Today I’m joined my Devon based writer, Olli Tooley. 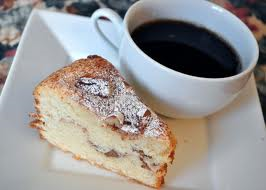 Why not grab a cuppa, take a seat for five minutes, and have a read? The original inspiration was when my boys were looking round a cheesy gift shop on holiday. You know? The kind where you can buy gemstones and seashells, and crystal swans, and resin models of fairies with sparkly wings. Each of my three boys had a favourite colour; blue, red, and green, respectively, and eventually we relented and bought them a little dragon each. It was so long ago now I can’t recall if I suggested it, or one of them did, but the idea was born to write a story featuring the three brothers. There was “a legend of a magical stone” which had been shattered by an ancient powerful wizard and the three parts had been scattered in different directions. Each boy would fight a different coloured dragon to recover a different part of the stone. Red, green, and blue, would then be reunited to repair the magical stone and save the blah-de-blah-de-blah, it was AWFUL. It still gives me goosebumps just thinking about how cheesy it would have been. It sat in a computer file for years untouched while I worked on other ideas. Well naturally, the original basis for the main three boys in the book were my three sons. Their sister was based on my younger daughter, who was tiny when we bought those dragons. Their father was based on me, but all of them have developed differently, for example my counterpart is as hard as nails; while I am a complete wimp. Almost every character I write has elements of real people, but none of them are closely based on any one person. Of course a few are real people from history, and for those, I need to be careful not to ignore known facts. I research to a ridiculous degree but I regret, I am not in the luxurious position of being able to fly off to Rome, or join an archaeological dig, to get first-hand knowledge. I have managed to go to Celtic re-enactment days, and did visit Pompeii once so It’s not all armchair knowledge. I spend a lot of time on the internet, using everything from Wikipedia to expert forums, as well as reading specific books that promise to give me more details. Some of the books I have read are insanely expensive, but my local library is a lifesaver for this. I am a bit of a dilettante with a passing interest in all sorts of subjects including; comparative linguistics, history, folklore, politics, human relationships, and more. Even when I know broadly what I am writing about, I constantly check the precise details to ansure I don’t get a fact wrong. The hardest thing for me, writing fiction set in a real historical setting, is knowing when I can allow my imagination to take over. For example, I wrote a passage in which a Celtic warrior stabbed a sword through the walls of a roundhouse into the back of a man outside. It was only a few months after publication that I met up with the Dumnonika reenactment group and was shown an authentic reproduction Celtic sword. The demonstrator explained how Celtic swords were always rounded off and could only be used for slashing. Spears were used for stabbing and thrusting. As a writer, I feel like I want to burn every copy of the book that retains the mistake, but most are in the hands of satisfied readers and who knows, perhaps one day they will be worth money? Would it shock you to know that I have never really thought about this properly? Now I think about it, I believe I usually write from the point of view of a camera. I certainly know that, despite the microscopic chances of it ever happening, I tend to visualise the film or TV version of a scene as I write. I suppose it doesn’t hurt to dream? Recently, I have been writing a story in the first person. That is because it is based on a real memoir of a Victorian lady. Hang on, “regime”? I’m just looking it up…. Oh, no. I don’t have one of those. Most days I will write two or three thousand words. More if somebody is being really stupid on Facebook. On a good day, more than half of those words will end up in my book. On a bad day they will all be on social media. Sometimes I wake up at three in the morning with an idea that won’t wait. Other times, I will be writing at sic in the evening and not stop until well after midnight. Then I can go weeks stuck on a difficult part of the story. Fortunately, I also have other writing projects on the go. Sometimes I have two or three different stories open in Word and will dabble in all of them in the space of an hour or two. Umm, oh, err. Well, I’ve read it already, so I sort of know what happens now. I get more excited about other author’s books. Loving the Ruso series by Ruth Downie, and just getting into Troy by Ben Blake. But there are loads of fantastic books, I could go on to write a ridiculously long list. If I had to pick something that really pleased me about my own book, I’d say the cover art by Iver Klingenberg, the cover design by Andy Jones, and the proof reading by Sarah Dawes. (Ha ha! Modest or what?) All local Devon and Somerset people. The printers are in Exeter as well, so yes, the very strong local team effort to produce it, is a big deal for me. Captain Carrot Ironfoundsperson – for his indefatigable good humour and strength of character. Leonardo Da Quirm – for his inventive genius. 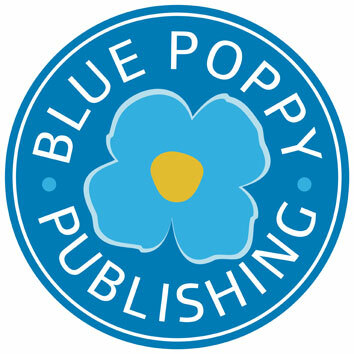 My little publishing imprint Blue Poppy Publishing is interested in teaming up with other self-publishing authors to try and create a sort of local co-operative publisher. There is no money yet, and so it only applies to self-publishers who see a benefit to them of being under the Blue Poppy umbrella. 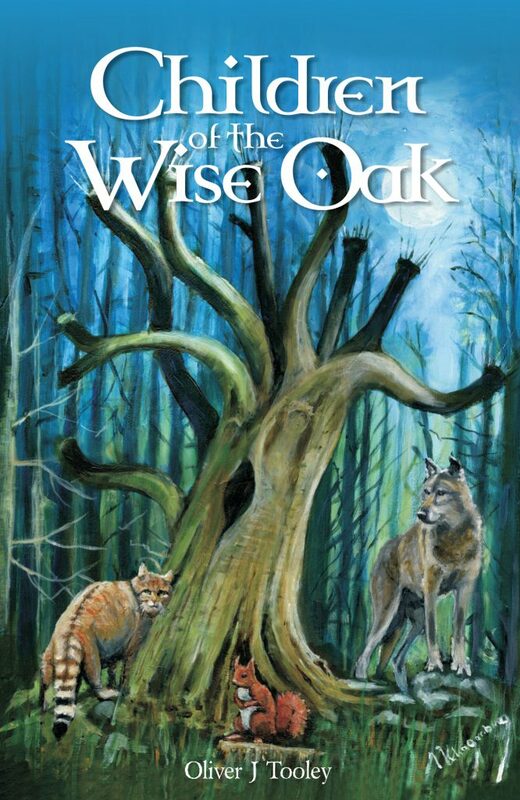 I am also the author of four short books for junior school (middle grade) readers. The Time Tunnel series features the adventures of David Johnson who stumbles across a series of holes which allow him to visit different periods of history. The first two; “Time Tunnel to Londinium” and “Londinium Revisited” obviously look at Roman Britain, “Time Tunnel at the Seaside” visits World War Two, and “Time Tunnel to West Leighton” covers the Anglo Saxons. All these aim to cover aspects of Key-Stage Two school history, while also being enjoyable stories. More books are planned for the series, including “Time Tunnel to Ironbridge” which will look at Victorian England. Oliver was born in London where he grew up next to a bombed out church. At the time he never thought it odd that there was a world war two bomb site still there in 1965. He was usually described by teachers as brilliant but lazy, and they said he would forget his head if it wasn’t screwed on. After attempting to unscrew his own head, he decided that most teachers were stupid but bigger than him. It was long after leaving school that he found out he had undiagnosed mild autism. He had always hated writing at school because he found holding a pen for longer than the time it took to write “Happy birthday, from Olli” was painful. In addition, he would almost invariably lose any homework before being able to submit it. He now lives in Devon with his wife, four offspring, and a demented spaniel. Thanks for a great interview Olli – love the Terry Pratchett choices for your desert island! Best wishes with your writing and books. Love the story behind your writing. Nice interview about a nice man and some good books!